Whether you are trying to court new clients or maintain existing relationships with past clients, online social media is an effective, inexpensive and personable way to get new cases in the door. We know who the big players are–Facebook, Twitter and YouTube, LinkedIn and Avvo. A small effort with social media can help your firm to get more clients. A law firm with an expanded online presence reaps the benefits of increased search engine recognition–links from the social media sites bolster the credibility of the firm’s primary websites and blogs. Facebook and other social media sites, used everyday by millions of people, have immediate credibility with Google. Social media also gives your law firm the opportunity to share its personality with users in a way that may not be appropriate for the primary website or blogs. A law firm can share news relevant to clients, take polls, promote charities and charitable works, and gently remind consumers that, when needed, the law firm will be there. Creating and maintaining these accounts takes time, and keeping up with the changes and updates, like privacy settings and additional features, can be difficult. 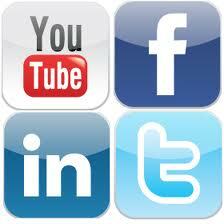 Our firm can help you create and link together social networking so you can focus on the law and your clients. Contact us at 443.850.4426, or online for a free quote.